8 songs and activities for thinking about what it means to have a body – naming the body parts, bathing, interesting foods to eat. Includes Dr Knickerbocker. 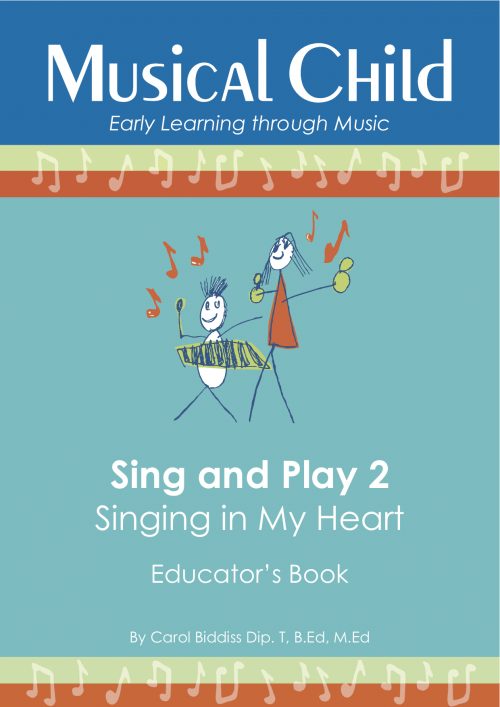 Here is a lesson plan that will last you 2-3 weeks prepared by music education experts at Musical Child. 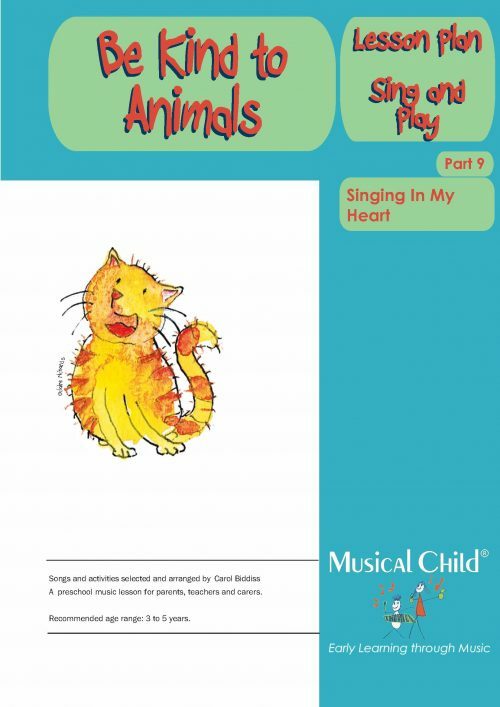 It is easy to use and comes complete with all the song music and lyric charts you need. Save yourself hours of precious preparation time by integrating these songs into your preschool program – simply download and start using this lesson plan today! 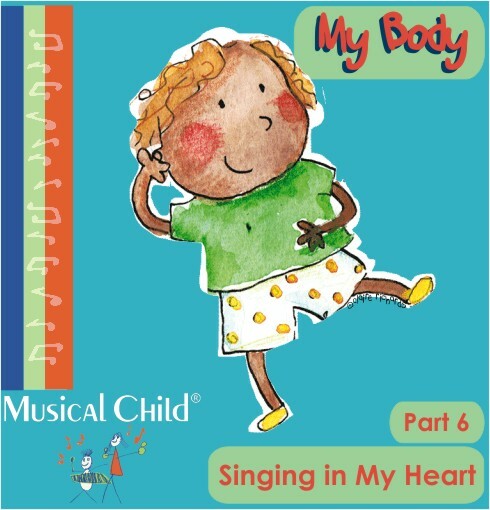 Having a body is an intriguing topic for young children. 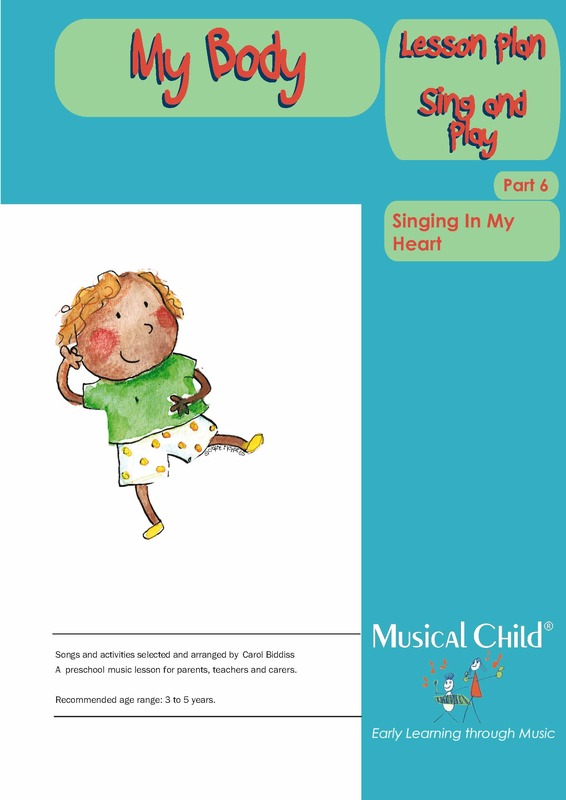 In this My Body preschool music lesson plan you get a variety of songs and activities that will have your preschoolers thinking about what it means to have a body – e.g. naming the body parts, (one of these songs is in Pitjantjatjara – an Indigenous Australian language). There’s a funny song about bathing a baby who might have chicken pox. Other songs focus on caring for the body with proper food and exercise. You save hours of weekend and evening lesson planning time – no more homework time spent writing down the learning opportunities, finding the music, thinking up activities appropriate for the age, working out a topic that brings everything together – it’s all done for you in one neat package. A digital music double-album with all the mp3s you need to learn the songs quickly. Includes all the musical recordings for 8 different song titles. You receive 24 mp3s including 12 karaoke tracks to back you up singing “live” and 12 matching vocal tracks. 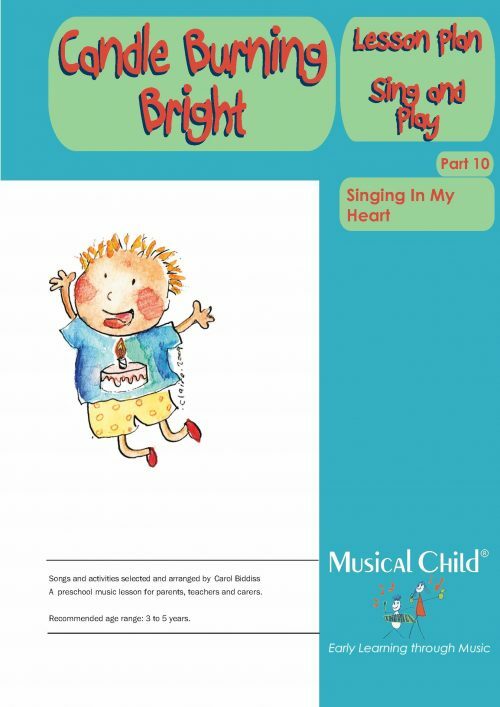 You also get all the lyrics on charts that you can display in your room so that other adults can sing along with you – or if parents visit your room, they can see what the preschoolers have been learning. 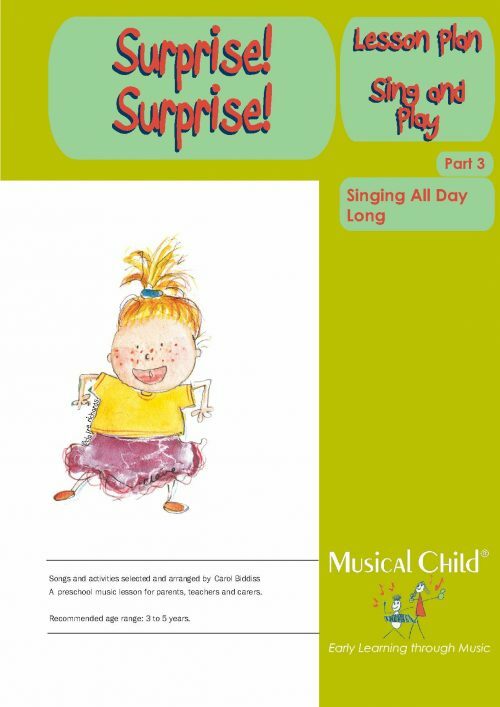 In the printable written booklet there are 10 different activities detailing exactly what to do to keep the children actively engaged for the whole time – you also get background notes on why these are the right songs and activities for this age. In the learning outcomes, there’s a specific section detailing how the children might develop in their language and speech. As an added plus you can see the main musical concepts featured. There are also simple scores with chords and you get suggestions for Classical music to play for cultural enrichment. This flexible lesson plan lasts you for at least 2 weeks – you can split it up into segments over several days or run it for up to 45 minutes once a week for 2 or 3 weeks – there’s so much variety and change of pace that it can work in many ways. And when you know the songs, you can sing them whenever you like! This product includes Hello Song; Pack Away Song; Donkey Riding; and Goodbye Song. These tracks repeat throughout the program Sing and Play 2: Singing in My Heart.